This guy is a real piece of…art. 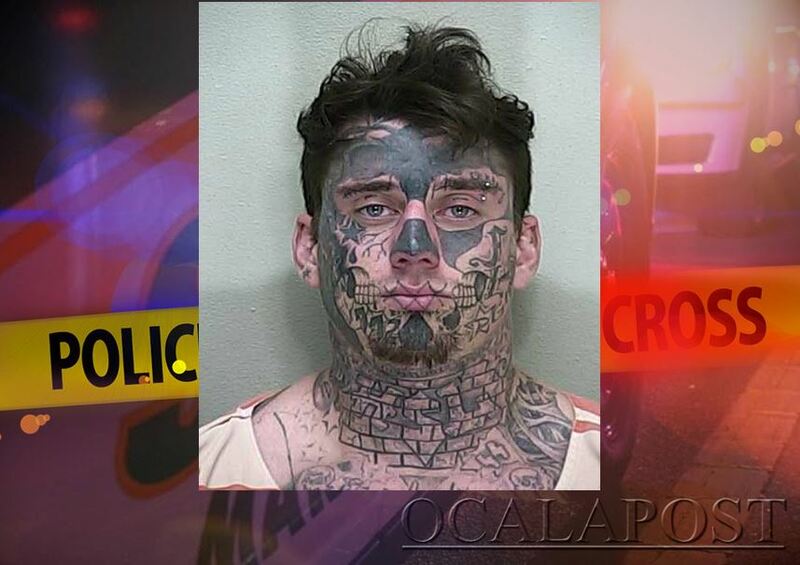 A man who was covered in tattoos ran from deputies after they discovered the car he was driving had been reported stolen. A Marion County Sheriff’s deputy was patrolling the 3300 block of South Pine Avenue when he noticed a tan Hyundai, which had been reported stolen out of Putnam County, parked in the parking lot of Queens Garden Resort. When the driver, Robert Hardister, 26, saw the deputy, he exited the stolen vehicle and fled on foot. A K-9 unit was called and a perimeter was established in the area. A short time later, Hardister was located by the K-9. He was arrested and charged with Grand Theft Auto, Burglary, and Resisting Arrest. While at the Marion County Jail, Hardister received two additional charges; Possession or Marijuana and Smuggling Contraband into a Detention Facility. Hardister is a career criminal with a lengthy arrest record. 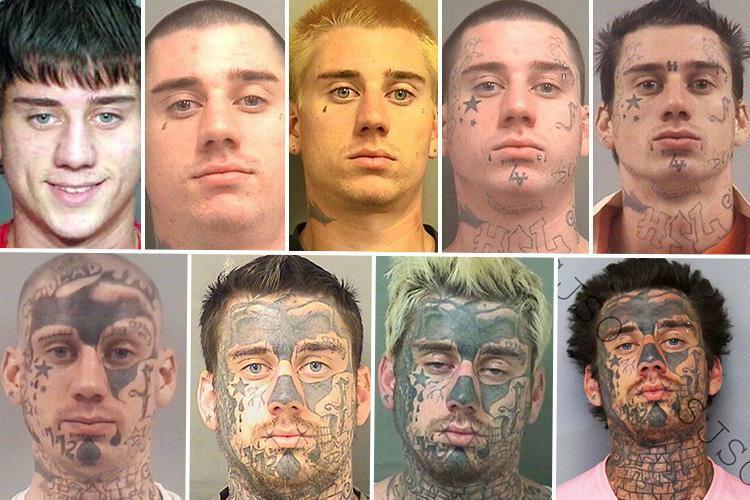 Below are several of his career mugshots.